Ally McCoist is one of Scottish football's best-loved characters. In a two-decade career, he won the hearts and minds of legions of fans as he established himself as one of the most popular sporting personalities in the UK. A school boy prodigy, it was always clear that McCoist was destined for top flight football. At just 16 he signed his first professional contract with St Johnstone, shooting to prominence in the 1980/81 season, scoring 22 league goals and playing a starring role for the Scottish youth team. He was soon hot property. After two years of mixed fortunes at Sunderland, McCoist returned to Scotland and signed for his boyhood heroes Glasgow Rangers. Over the next fifteen years, he established himself as arguably the greatest goal-scorer ever to play for the club. He not only gave heart and soul for Rangers but was also capped 61 times for Scotland. 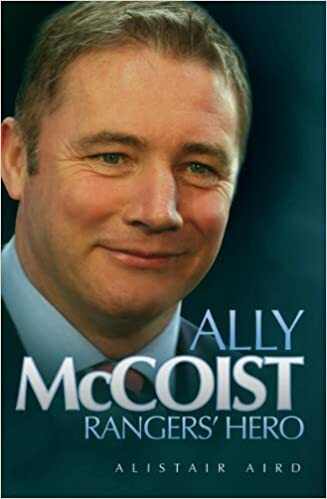 An authoritative and affectionate portrait of this much-loved sportsman, Ally McCoist - Rangers' Hero charts the highs and lows of a fascinating career, culminating in McCoist reaching legendary status. It also looks at the events that helped to shape his life - overcoming homesickness when first playing for an English club and how he coped when his young son had to undergo several life-saving operations. Having hung up his boots, Ally's vibrant personality made him a natural for the television screen. Now, however, he has come full circle and returned 'home' - after a successful spell as assistant manager at his beloved Rangers, he has taken over the reins to become manager. This wonderful book is a must-read for any football fan or indeed for anyone captivated by this large-than-life character. Burns left the club in 1994 to take over the reins at his beloved Celtic, while Alex Totten took over and continued Burns’ good work. When Totten moved to Falkirk in December 1996, Bobby Williamson, a member of the playing staff at Rugby Park, took charge of team affairs and led Kilmarnock to the Scottish Cup final in 1997. Their opponents at Ibrox on 24 May were ironically Alex Totten’s Falkirk, but a first-half strike from Paul Wright took the Cup back to Ayrshire for the first time since 1929.